Every year since 2008, I’ve had the privilege of going to a local Annual Potter’s Market, and every year I come home with new bowls and knickknacks and gifts for people. While I did purchase a bowl this year, which I plan on featuring soon, I also bought two ornaments for our Christmas tree. 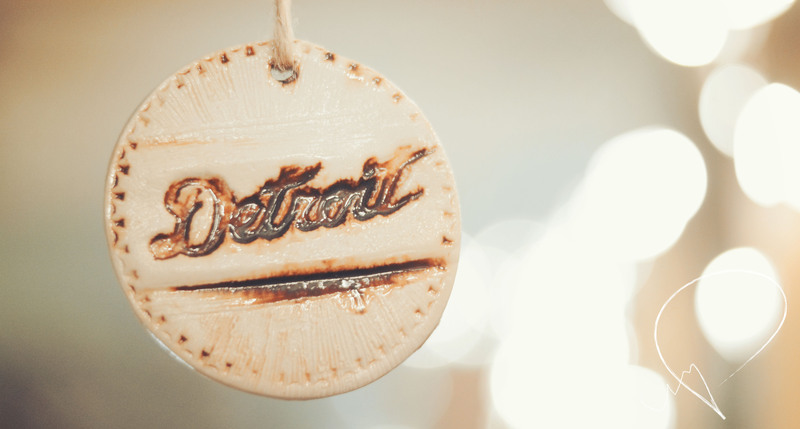 This Detroit piece stood out to me because of the rusty coloration of the word. It’s awesome! I want one :). I’m not sure what artist did these so I can’t pass on their info, sorry!